Roadside Retail: Roll on Spring! Photo courtesy of Reuters / South China Morning Post. 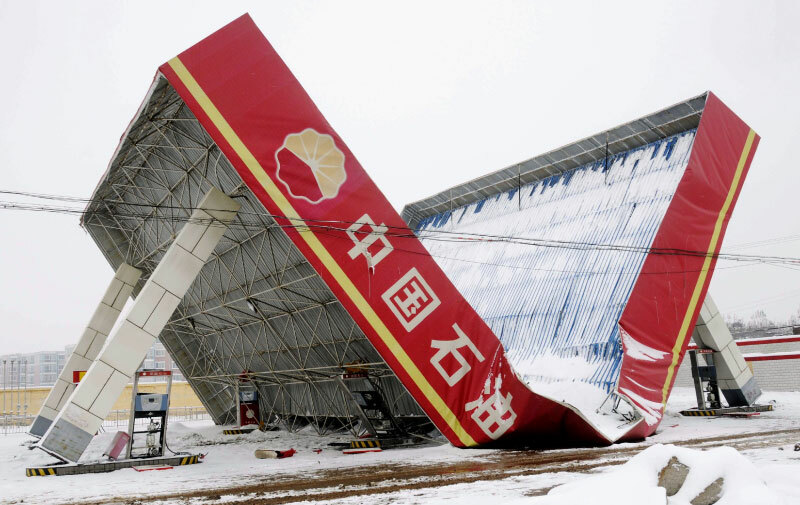 At first glance it looks like an exceptionally heavy snow fall has initiated the collapse of a Petro China canopy. On closer inspection it does seem surprising that the column bases have apparently sheared from their footings. Further it appears from the photograph that there were originally only four columns making the span between columns around 12 metres which seems quite optimistic for a lightweight space-frame structure.